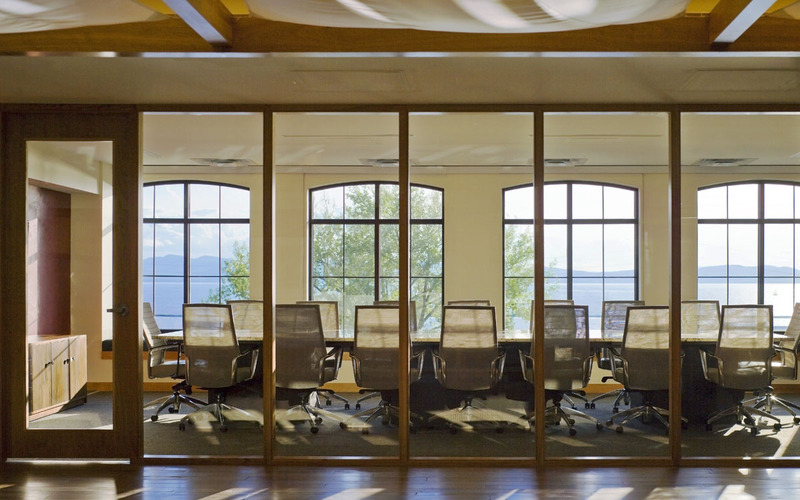 The design for this locally-owned asset management firm is inspired by the surrounding landscape of the Lake Champlain basin and is a celebration of our Vermont culture and community. 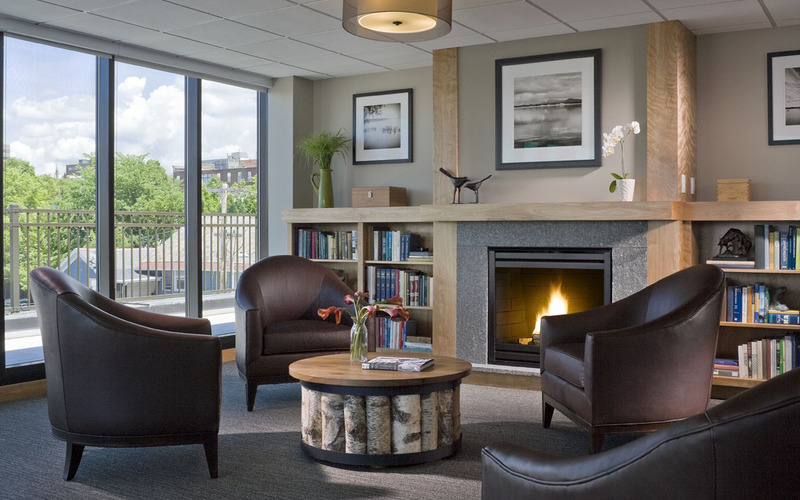 The use of local materials and craftspeople gives the space a true Vermont flavor. 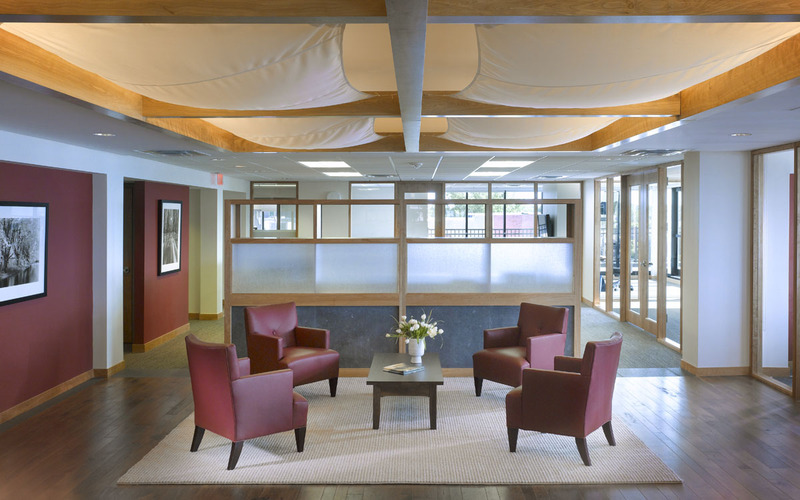 The reception area features hardwood flooring salvaged from the forest floor and panels of Champlain Marble quarried from the Lake Champlain Basin. 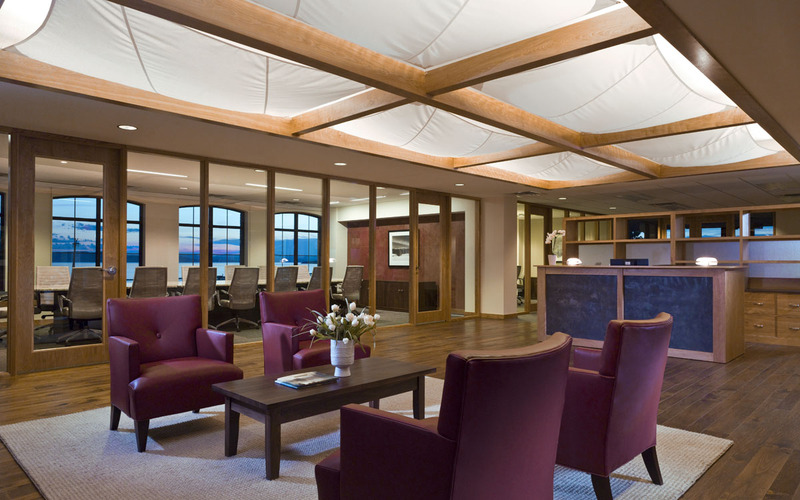 A billowing ceiling of cloth panels provides a contrasting softness to the space and alludes to the gentle sailboats on Lake Champlain. 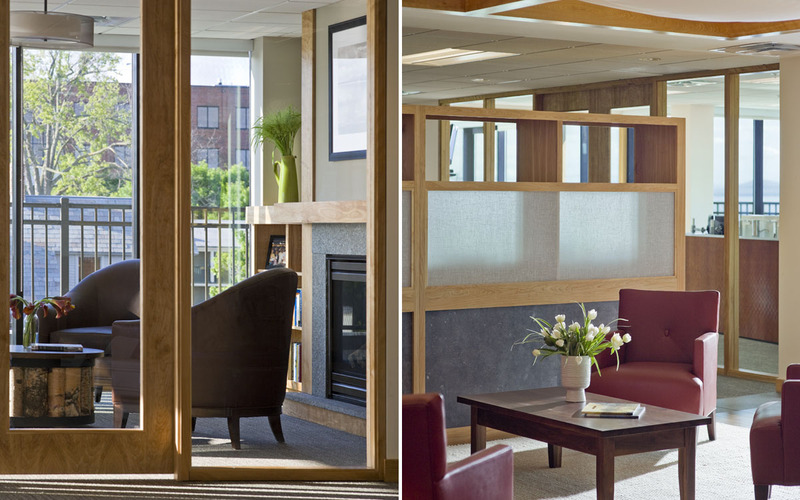 The design of the workspace promotes teamwork and collaboration with shared meeting and lounge spaces in prime locations and a quiet library for focused work or small group meetings.